Back in August 2010, after it was requested on the social website reddit.com, I decided to create a quick introduction to photography class. The premise was simple: 30 lessons covering most of the basic subjects, assuming no prior knowledge, and with a focus on the practical over theoretical explanations. 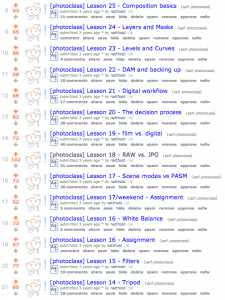 The course ran over the next month on /r/photoclass and was a big success. Over the next few years, the course has moved to my first photography website (now gone) and finally to this nifty website. It is also run live about once a year on a dedicated subreddit, usually at a pace of a lesson every three or four days. The latest one was /r/photoclass2017, though it is now complete. The concept is simple enough: all 30 lessons are constantly accessible, and you go through them at your own pace. There are also assignments with most lessons, which I strongly advise you try to do. If you decide to wait for a live class to be run on reddit, you will get feedback from fellow students, but there is otherwise no grading of any sort. Ready to get started? Then jump right in to the first lesson! I am a professional adventure photographer based in beautiful Chamonix, France. 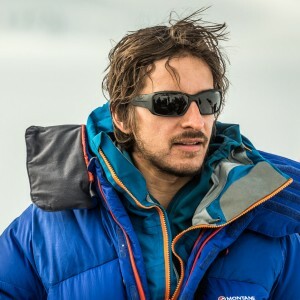 I specialize in capturing action and lifestyle imagery, especially those revolving around mountain sports such as alpine climbing, freeride skiing, paragliding, trail running and BASE jumping. I have shot for clients like Red Bull, Patagonia, Arc’teryx, Sports Illustrated, Rock and Ice Magazine, Black Diamond and many others. All the images on this website are mine, and I offer fine art prints of most of them. You can find my work on my website, alexbuisse.com.